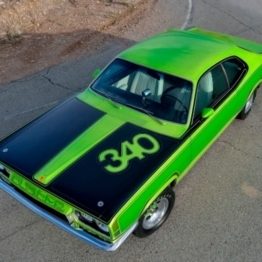 For Ross Gordon of Ohio, the plan for his 1973 Plymouth Duster 340 was to do a mild restoration. 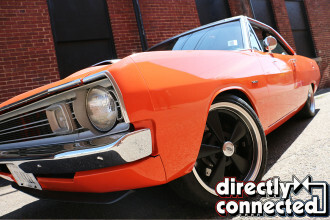 Keeping the color original, he planned on adding a stroker motor and blue interior. Pretty simple, right? So he thought. See, once Ross tore apart his Duster and started media blasting it, he realized he was going to have to change a lot. 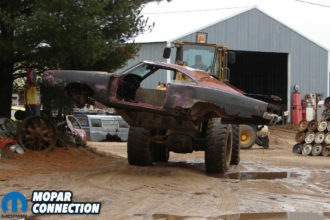 The years had been pretty unfriendly to the car and it needed a ton of rust repair. 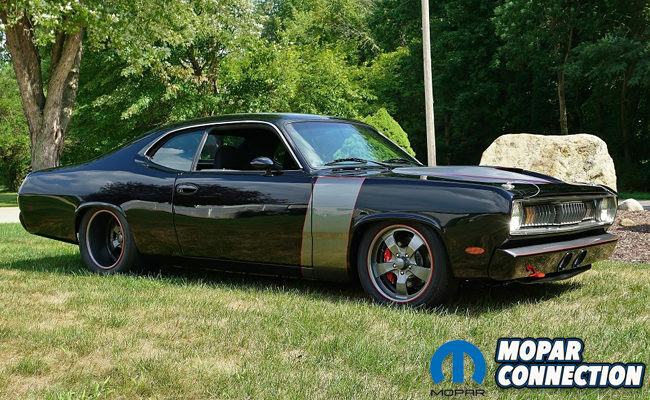 Being as there wouldn’t be very much original left on the Duster, Ross decided to enlist his skills as a machinist and welder for the US Air Force and do a full blown custom. 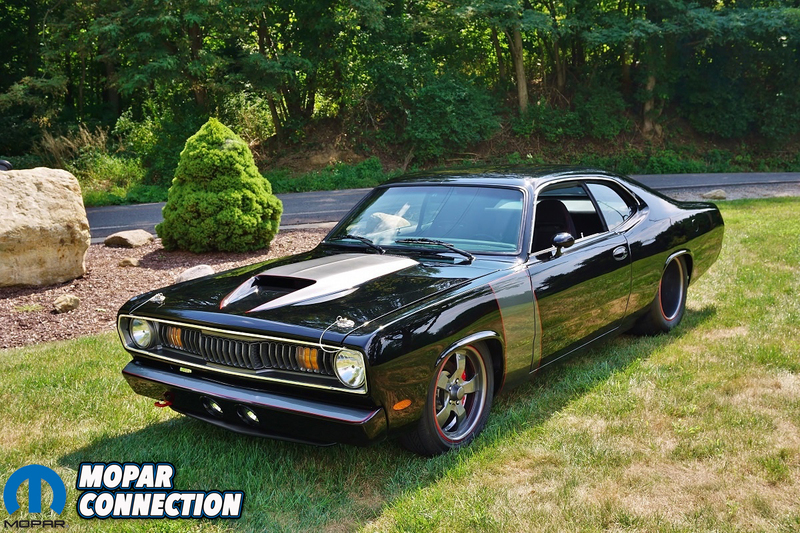 Starting with the exterior, AMD was called and the Duster was reassembled with new quarter panels, one piece full floor pan, trunk pan, tail light panel, rocker panels and inner fenders. Instead of going with the 1973 pieces, Ross decided he liked the 1971 look better so on went ’71 panels. 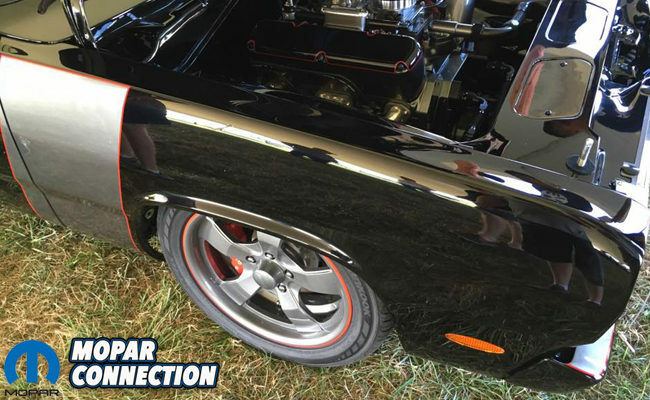 The side marker lights were replaced with flush LED oval markers from Hagan Street Rods along with their oval fuel door. 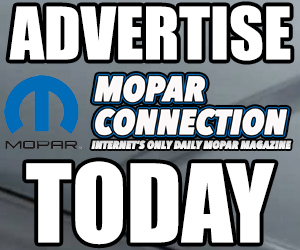 For a smoother look, the factory door handles were replaced with ones from a 2005 Chevrolet Malibu. On the rear trunk lid sits a custom spoiler that was hand made from 16 gauge steel. The fiberglass hood is from VFN and has been extensively modified and reinforced. You won’t find a flimsy or floppy hood here. 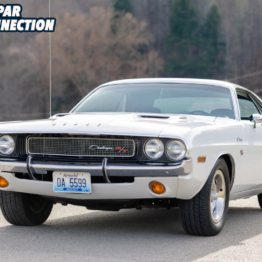 The original front bumper has been shaved, narrowed and tucked into the body and incorporates a pair of 55 watt driving lights and a retractable Billet tow hook. Underneath that sits a front spoiler straight from Spoilers by Randy. The rear bumper is also shaved, narrowed and tucked. 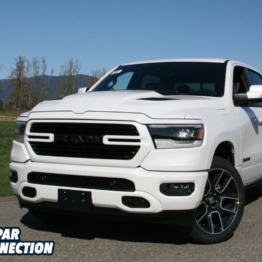 Ross put his machinist and fabrication skills to work and incorporated bumper cutouts from a ’12 Ram 1500 pickup to give a nice extra touch. Under the hood, the firewall has been smoothed and the wiper motor has been relocated to the interior side of the firewall. 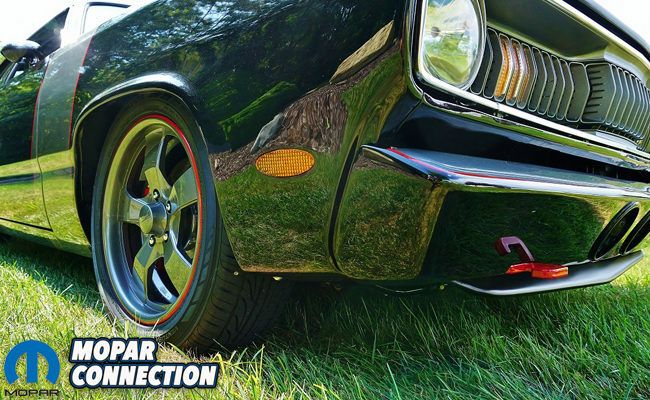 To allow Ross to achieve the very low ride height he wanted, the inner fenders and transmission tunnel were sectioned and raised 1.5-inches to allow for added suspension travel. Out back the wheel tubs are 16-gauge steel and were specifically made for this car with the key design to still utilize the rear seat. 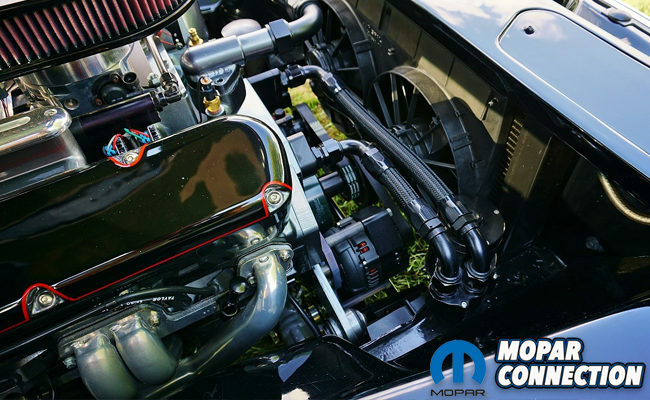 There is a custom made steel radiator cover that flows into a modified hood latch support. Out front sits a beautifully restored sharktooth grille that houses custom LEDs behind the original lenses. Once all of the fabrication work was complete, Ross’ Duster was sent to Tom Bodalski of Bodacious Cycle Paint Works where it was sprayed in Black two stage base coat/clear paint from BASF. 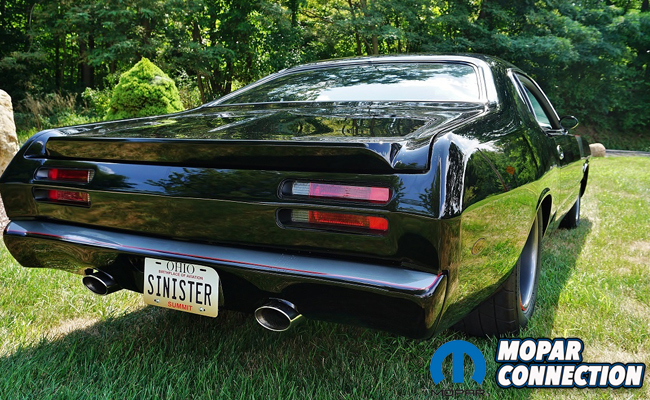 Once it was sprayed black, it was then accented with Dodge Mineral Grey and a Dodge Viper Red pinstripe on the hood, fenders, and bumpers. Open the door and you’ll find a beautifully crafted interior as well. 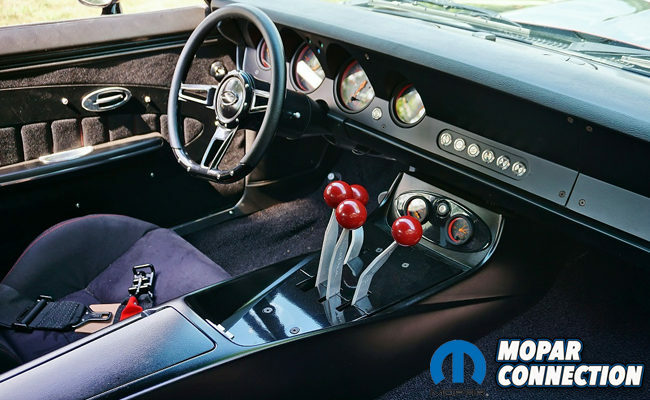 Ross says the main attraction of this car is defiantly the Kilduff Lightning Rod-style shifter surrounded by a modified Gen II Stiletto console from Modern Classic Interiors. 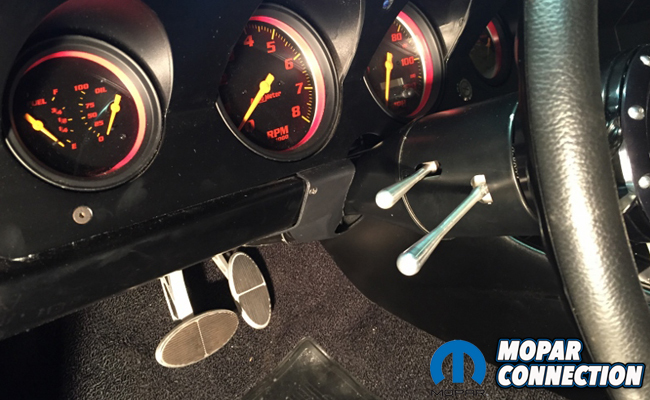 The dash is custom made and filled with gauges from the Autometer Custom Shop. 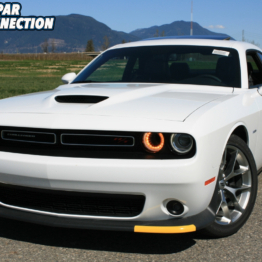 The speedometer is electronically controlled by their GPS interface. The tilt steering column is from Flaming River and Formula-style steering wheel is from Billet Specialties. 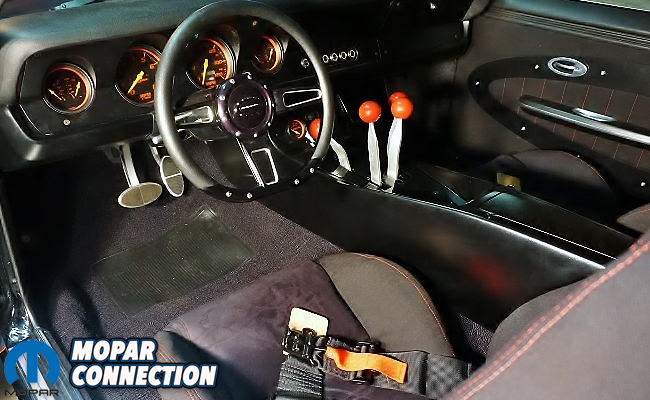 Keeping him comfy but seated firmly is a pair of Cipher racing seats that have been modified by removing the shoulder bolsters. Once that was done, the suede inserts were upgraded to give them a more factory look. The rear seat has been redesigned to fit around the modified floor pan and wheel tubs and was then covered in the same material as the front seats. 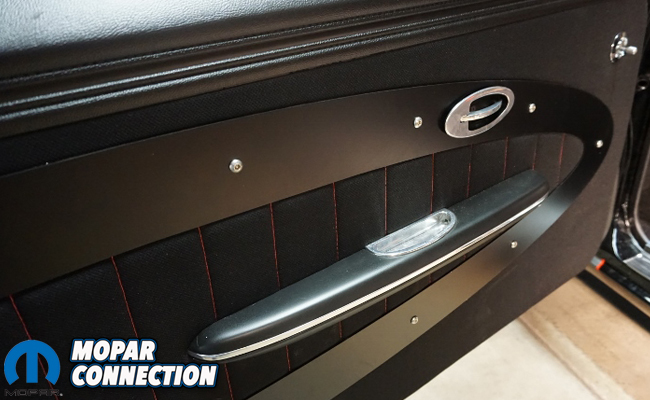 The rear package tray was custom made out of steel and painted to match the exterior colors. Dressing the inside of the doors is a pair of custom made door panels that were also covered in the same material as the seats. The armrests are from Fesler Products and the door handles are from Gabe’s Custom Interiors. Bringing out his machining skills again, Ross fabricated the brake pedal from 1-inch thick Billet aluminum so it matches the Lokar gas pedal. Keeping you safe comes courtesy of seat belts from Crow Racing Products and feature clip in lap belts. 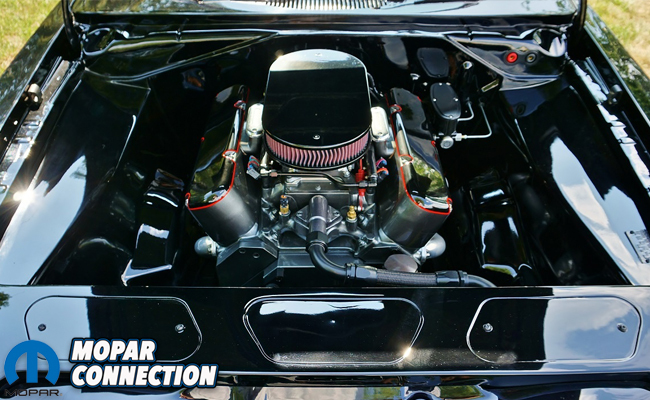 Under that killer VFN hood sits a 340 that has been stroked to 416 cubic inches and pumps out 502 horsepower and 498 ft lbs of torque. 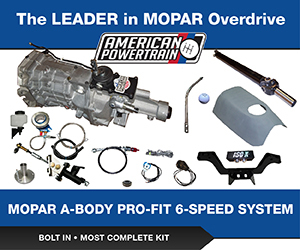 Internal parts include a BPE forged stroker crank and Compstar connecting rods with Diamond Racing forged pistons. 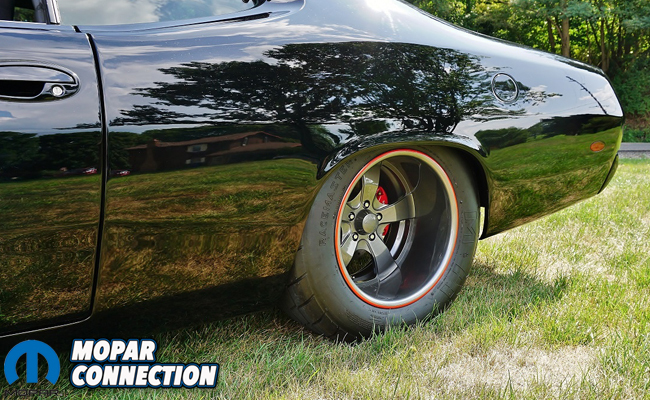 A pair of Edelbrock RPM heads were bowl blended and then fitted with Comp Cams springs, 10-degree locks and Harland Sharp 1.5:1 roller rockers. The camshaft is a Comp Cams Extreme Energy solid lift with .520/.540 lift. Sitting pretty on top is an Indy Cylinder Head Mod Man intake that’s been modified for use with EFI and uses two FAST polished four barrel 4150 throttle bodies. Headers from TTI allow the engine to breathe well. Cooling that stroker is done with a Be Cool radiator matched up with their dual 11-inch electric fans. 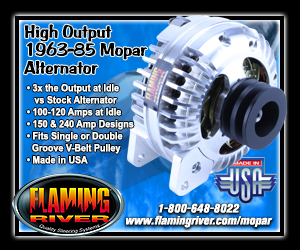 The water pump is a Meziere electric piece that’s been remote mounted and features specifically made billet -16AN block adapters. Providing fuel to the fire, 44 lb. Siemens fuel injectors pump fuel into the engine thanks to an Aeromotive Phantom 340 stealth fuel system which draws the gas from a custom made JD Brand aluminum fuel cell. The fuel injection system is controlled by a FAST XFI 2.0 ECU. Of course you need spark to fire the mix. That’s done with a set-up consisting of a MSD 6AL controller, MSD Blaster coil and a FAST dual sync billet distributor. 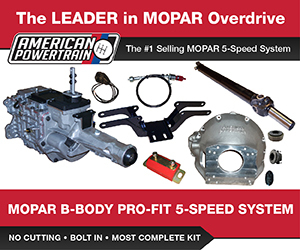 All of the power is fed through an American Autowire Highway 22 panel wiring kit powered by two red top Optima batteries in a custom made aluminum mount and kept charged by a Black Anodized Mechman 170 amp alternator. 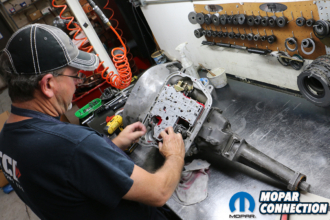 The engine is home to numerous custom made billet aluminum parts like the CNC timing chain cover, integrated motor mounts, valve covers, -20AN water neck and low mount alternator and power steering brackets. Even the Billet Specialties air cleaner covering the specially made throttle brackets and linkage has been modified for the car. 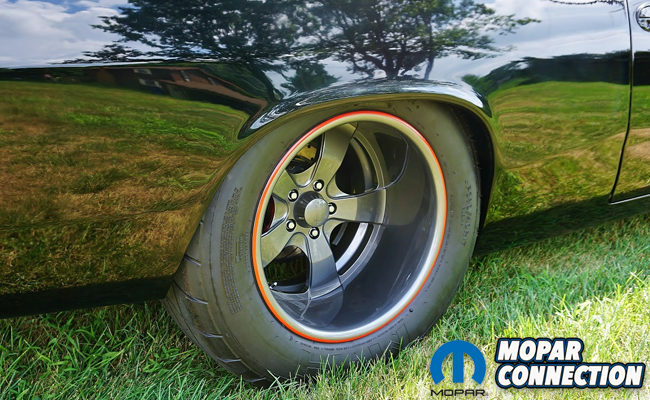 Backing the 416 is a Cope Racing 727-4 Pro Street reverse manual shift transmission fitted with a 9.5-inch PTC torque converter with 3500 RPM stall. That leads us to the rear of the Duster where a narrowed and back braced 8¾ rear end sits. The 8¾ is loaded with Moser axles, a 742 center section, Yukon 3:90 gears and a Detroit Truetrac locking differential. The task of bringing the power to a halt is done with a Forged Dynapro setup consisting of 6-piston calipers in the front and 4-piston calipers in the rear. Wilwood 12.19 diameter drilled and slotted rotors are thrown into the mix for breakneck stopping power. 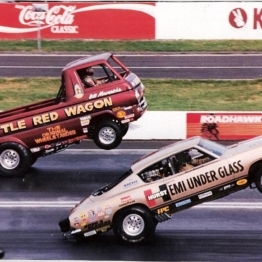 Juice comes from a Wilwood master cylinder and adjustable proportioning value. Ross went absolutely all out on the suspension with one goal in mind: as low as you can go. 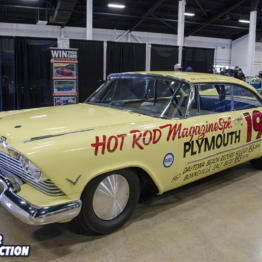 The front suspension was specifically made for this car by Denny Laube of HDK suspension and features a power steering rack. KRC power steering pump, QA1 shocks with 10-inch front 375lb springs and 12-inch rear 170lb springs, Wilwood 2-inch drop pro spindles and a HDK 1-inch sway bar sourced from Helwig. The rear suspension is a custom made triangulated 4-link system that features fully adjustable 1.5-inch diameter link bars and 1.25-inch frame reinforcement braces with HD torque boxes. 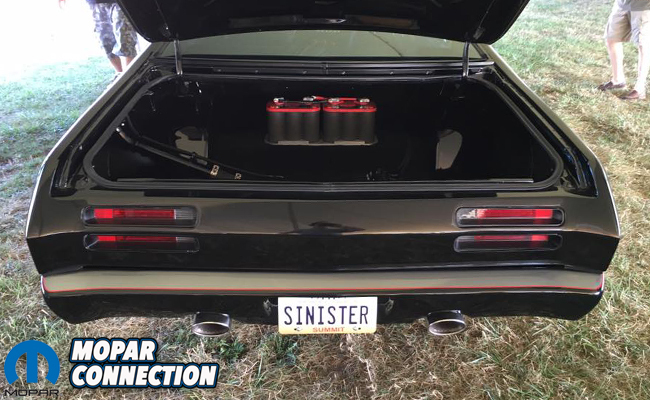 The chassis has been additionally stiffened with the use of US Car Tool sub-frame connectors, a XV Engineering lower radiator support and .187-inch steel rear firewall bracing that replaced the factory cross support behind the rear seat. 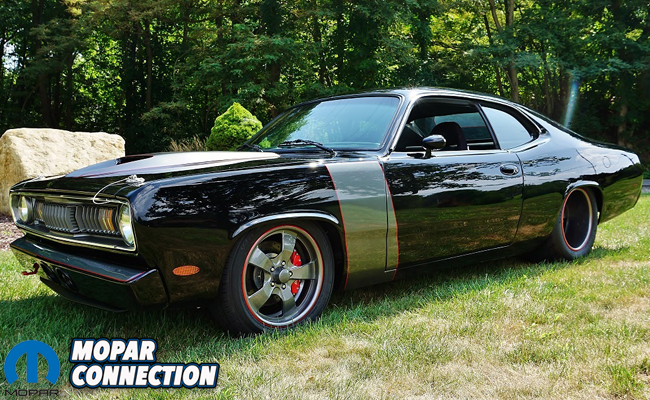 The Duster rolls on a stunning set of Huntington wheels from Bonspeed and are fully powder coated to match the Duster’s accent color. The front wheels are 17x7s with 215/55ZR17 Hankook tires and the rears wheels are 17x12s wrapped with huge 390/40R17 M&H Racemaster tires. That’s a serious amount of steam rolling there! Ross’ Duster is full proof that although you may have a set plan in mind when you start a restoration, sometimes it can end up going the exact opposite way. Ross isn’t complaining though as his well-honed skills have produced fantastic results!